Are inscriptions on lead crosses found on the banks of the Santa Cruz River remnants of Freemasons or a hoax? How did famous evangelist Aimee Semple McPherson arrive in Douglas weeks after she went missing in Los Angeles and was presumed dead? Did the Lost Dutchman's treasure spell the end for Adolph Ruth, whose skull was found nearly a mile away from his body in the Superstition Mountains? 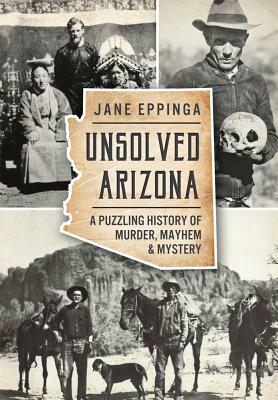 Author Jane Eppinga details thirteen stories of disappearances, murders and unsolved cases from the annals of Arizona history.